Rate this Book : 5 4 3 2 1 no ratings yet, be the first one to rate this ! വാര്‍ദ്ധക്യവും മരണവും സിദ്ധാര്‍ത്ഥനില്‍ ഉള്‍വേവായി നിറഞ്ഞു. 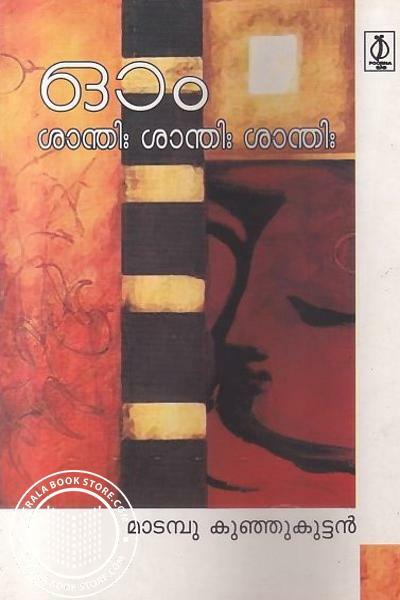 ജരയും നരയും ഗുപ്തമായ അറിവിന് സ്പര്‍ശമായി. ലോകത്തിന്റെ ദുഃഖങ്ങള്‍ മനം നിറഞ്ഞപ്പോള്‍ സിദ്ധാര്‍ത്ഥന്‍ ബോധിയുടെ ചുവട്ടില്‍ മറ്റൊരു തണലായി. സിദ്ധാര്‍ത്ഥന്‍ ബുദ്ധനായി. 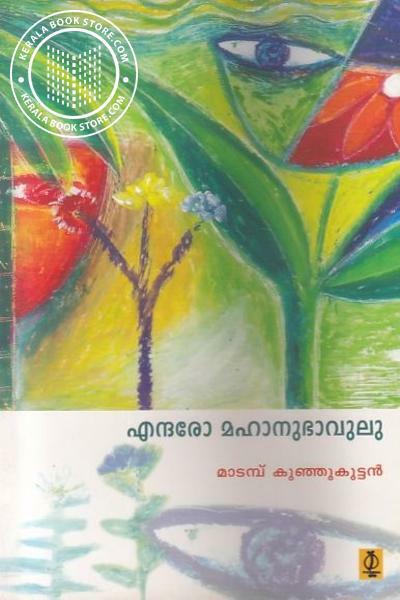 ഭഗവാന്‍ സിദ്ധാര്‍ത്ഥന്‍ യശോധരയുടെ സ്വന്തമല്ലാതായി. ആത്മനാഥനല്ലാതെയായി. 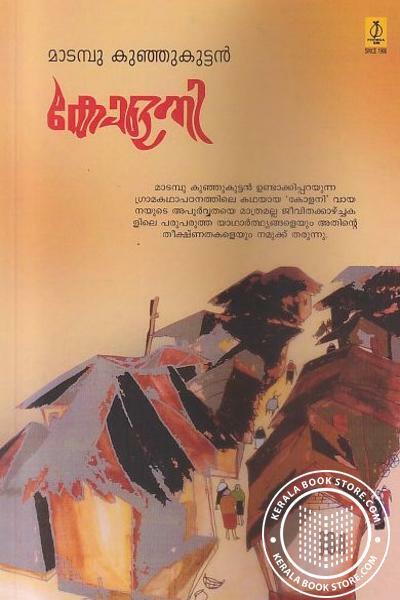 പ്രാണിലോകങ്ങള്‍ക്കൊക്കെ നാഥനായി. അപ്പോള്‍ യശോധര തഥാഗതയായി. 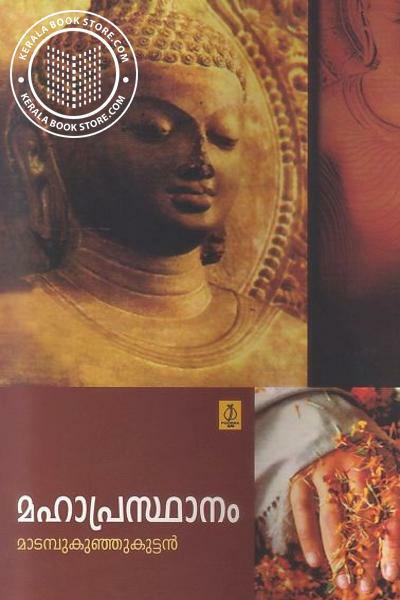 തഥാഗതന്റെ ബഹിര്‍രൂപമായി. 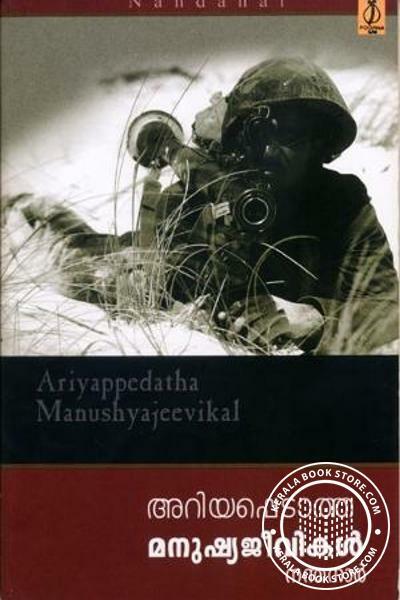 Write a review on this book!. 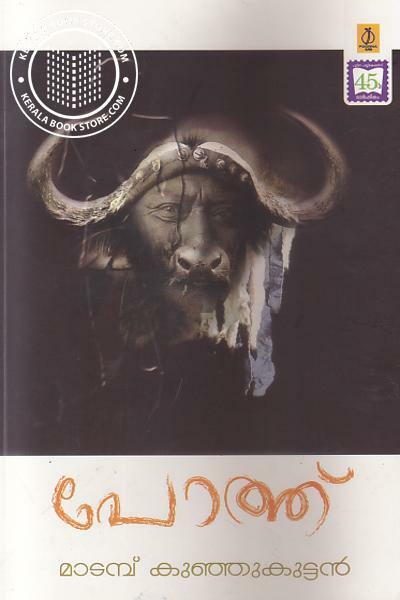 Kerala Book Store is your window to the world of Malayalam literature. 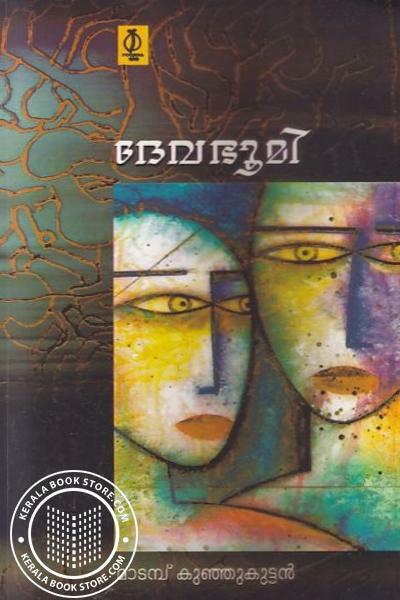 This online portal is a one-stop destination where you will get books written in Malayalam from various publishers. With more than 10,000 collections in our store, you can get books in any form - be it audio book or paperback or ebook - at your doorsteps with the click of the mouse. 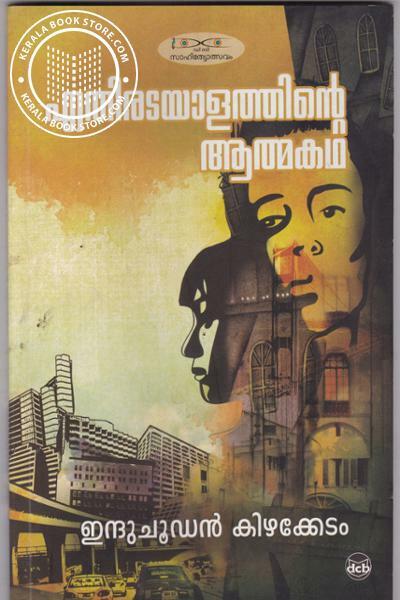 Apart from books written by authors based in Kerala, you will get Malayalam translation of international best-sellers. What is Audio Book ? 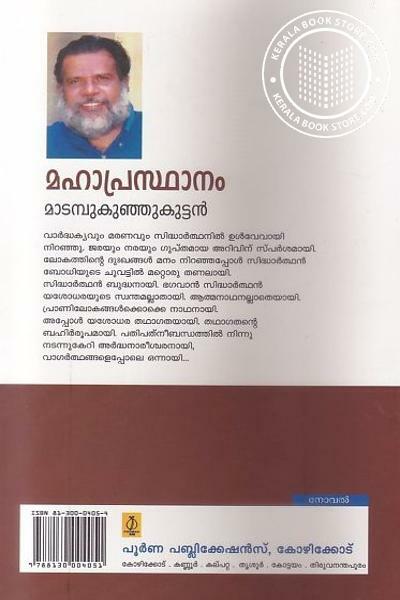 Marketing permission: I give my consent to KeralaBookStore.com to be in touch with me via email using the information I have provided in this form for the purpose of news, updates and marketing. Mail Sending Intervals: We do sent marketing mails twice a month, and if there are any special occasions. No more than 4 mails in a month will reach your inobx. 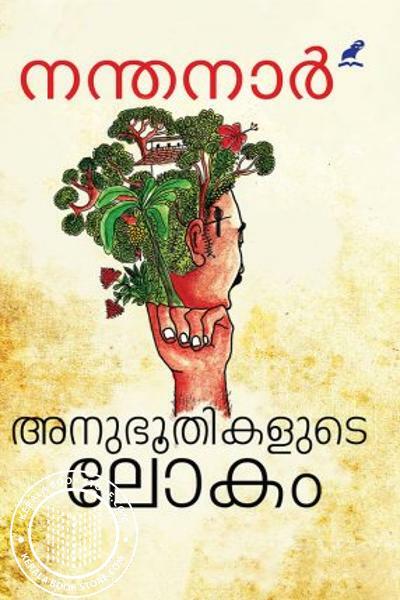 Copyright © 2015 | Kerala Book Store™.